I have been unable to get to the store to source the final bits for my WOYWW project from last week! Shocking, I know, but it’s just been very busy here at Chez Walters. I’m going to share the progress and hope I can get it finished this week! The project is a little trio of letters, built on an old set of display stands I have had from when UKS would attend shows. They are from Staples and just clear, so you can slip a flyer inside then stand it up on a table. I stumbled across one while tidying up and as I looked at it the idea of building on its native properties (ie it STANDS and it’s CLEAR) sent me off in the obvious direction. I simply slipped a bit of glittered vellum in the frame, added some SCAL cut letters to the front, then sealed the edges with some decorative Washi tape. 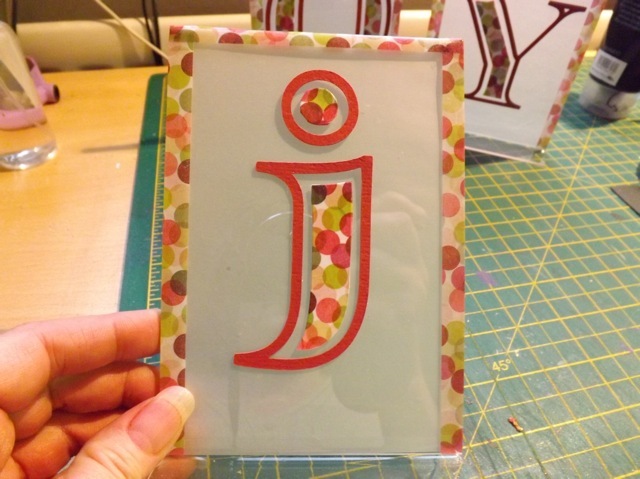 I also used the Washi tape to decorate the internal bits of the letters (the font is called Itsadoke and cuts in distinct sections. I used the outer frame, removed the next layer, and decorated the inner layer) so it all matched – the Washi tape is from Lovely Tapes and I am quite fond of it. It looks like a Bokeh and comes this colourway as well as a more blue and purple and green version. I seemed to have a selection of these stands, not all exactly the same size, but they all work well enough. I planned to add some clear baubles to the bottom lip (hot glue, I expect) and then they can sit on the mantle, perhaps with some greenery woven between them. I thought tinting the inside of the clear baubles by dripping in a bit of Alcohol Ink and swirling it around to coat would be a good option, more so than opaque coloured baubles. Why, you ask? Well the plan was to add some votives behind for THIS sort of effect! Isn’t that pebble-dash wall just SO special? LOL! Anyway, I just need to get out to some store or another for baubles and I can finish it off! 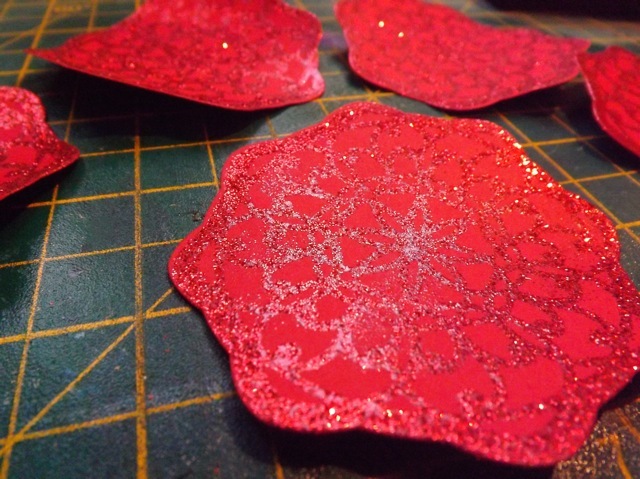 It looks like they are actual ornaments on the layout but they were photographed, cut, and pop-dotted. I’ve bought one for this year , but I also thought I would make one as well. 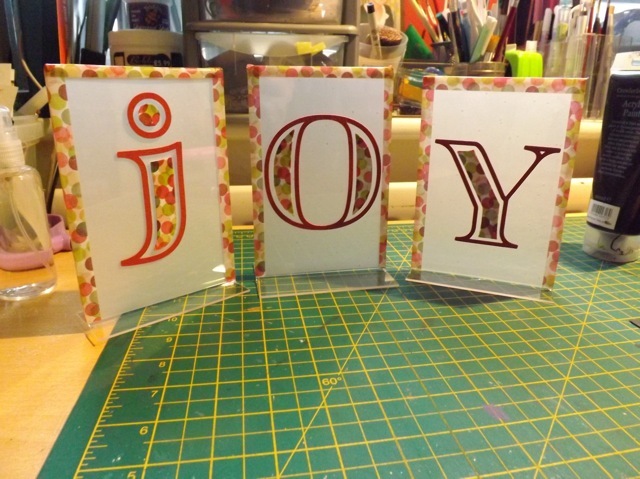 I scored the symmetrical die-cuts and folded them, then did the usual sticking half-to-half to create the 3D effect. 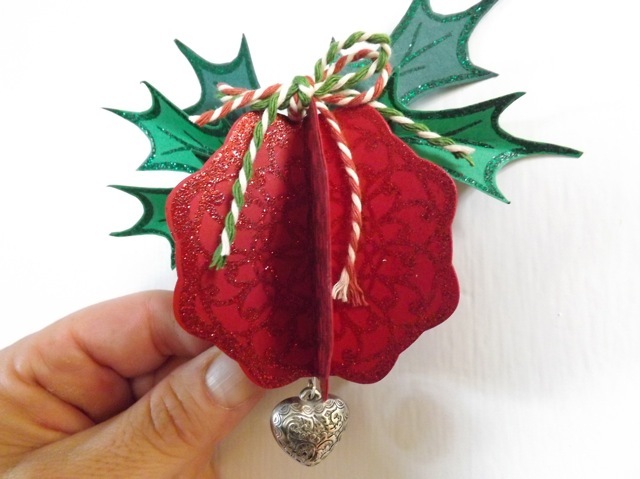 I added a dangling heart on a wire (with a loop at the top for a hanger) and added some of the Baker’s twine I got from Rope-Source (it’s lovely and thick, not super fine like a lot of the twine I have) and some holly leaves. I could have done 3 or 4 more of the medallions, but this version is flat at the back and fewer units makes the stamping show up much better, IMHO. Trust me, the little loop for the hanger is there, it’s just hidden at this angle! So that’s it for now – dithering whether or not to clear off my desk or push it to the side and craft, or focus on some requests for calendars via blog comments. Or something totally different that I am itching to share, a project someone sent me that they made from one of my calendar posts. It’s very unlike my usual style but believe me when I say it is seriously stunning…… however, it would be rude to share mine before she shares hers LOL! 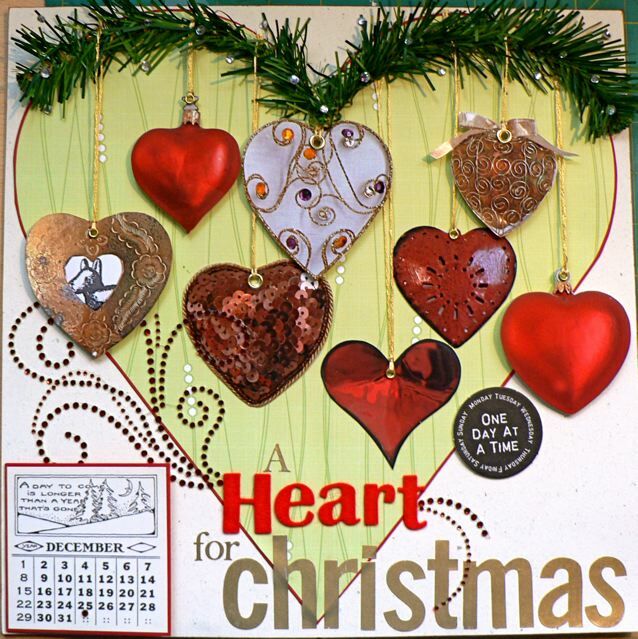 Categories: Christmas, die-cuts, scrap related, Spellbinders, stamping | Tags: Christmas, Die D-Lites, Spellbinders, stamps | Permalink. 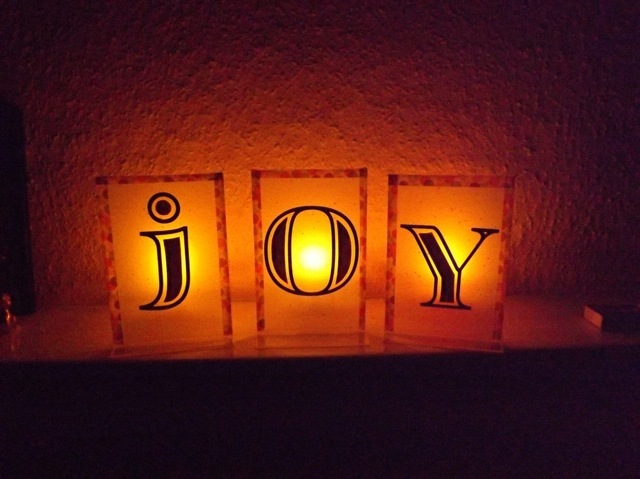 Love the JOY stands – so pretty in front of the candles! That’s really pretty! What a lovely way to remember him every Christmas as well.